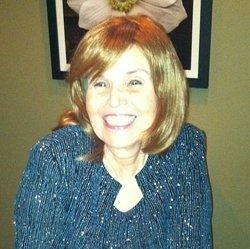 Author Mary Ann Bernal | Have You Read the Book? From: Have You Read the Book? Rachel Love interviews the respected Author Mary Ann Bernal on today's show. Mary Ann Bernal, author of The Briton and the Dane novels, is an avid history buff whose area of interest focuses on Ninth Century Anglo-Saxon Britain during the Viking Age. Travel back with Author Mary Ann Bernal to the late Ninth Century, to the Isle of Britannia and the Anglo-Saxon Kingdom of Wessex where Mary Ann provides a glimpse into the days of Viking Warriors and British Kings. Partake of the intrigue, ... See More passion and treachery which threatens the reign of the benevolent and magnanimous King Alfred, the only British monarch referred to as Great. She has appeared on The Morning Blend television show hosted by KMTV, the CBS television affiliate in Omaha, and was interviewed by the Omaha World-Herald for her volunteer work. She has also been a featured author on various reader blogs and promotional sites. Thanks for hosting me, Rachel. It was fun.